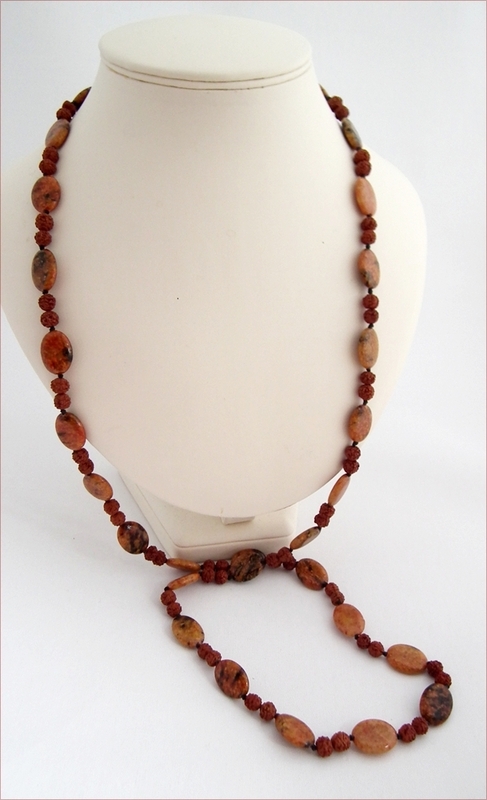 Long Knotted Necklace in Jasper with Rudraksha Seeds. 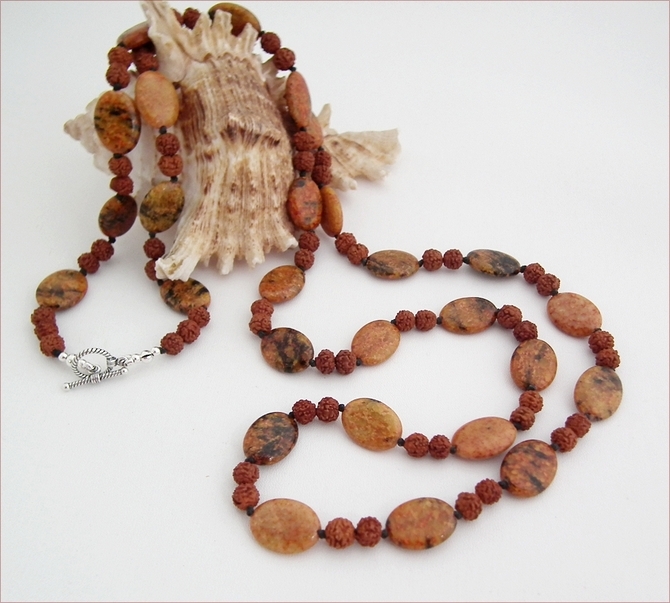 When a friend brought me back some beautiful rudraksha beads (formed from seeds of the elaeocarpus tree) bought on the steps of a Hindu temple, I knew just what to do with them. 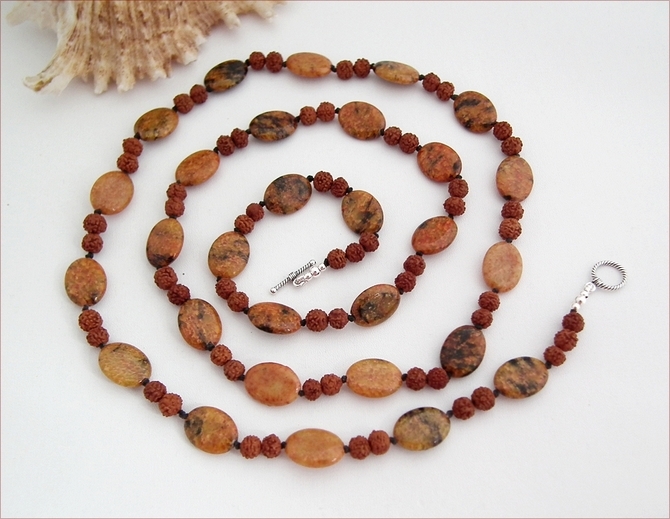 I already had some of the oval jasper (dyed orange) I bought as I wanted to make something in a fiery colour and the rudraksha beads went perfectly. It was meant to be. 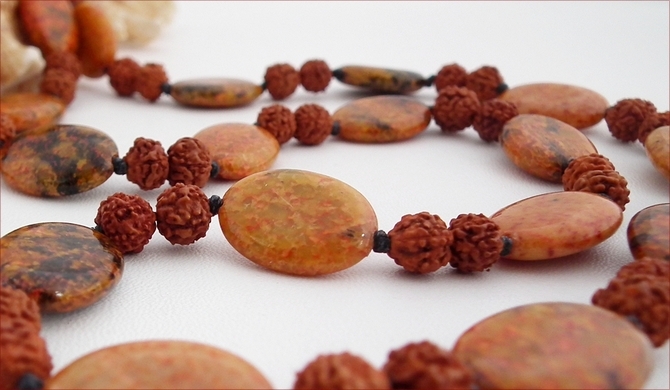 Rudraksha is associated with the Hindu god Lord Shiva and are worn in a similar way to rosaries in the West. 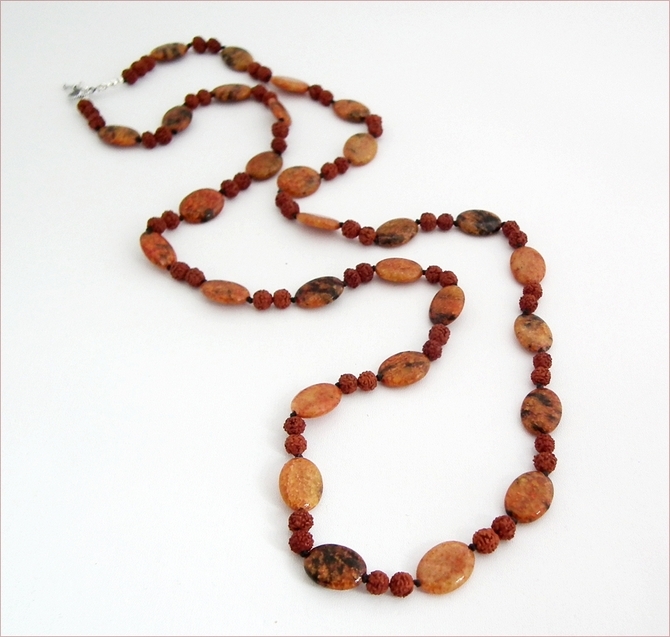 This necklace is 42" long (107cm), knotted either side of the jasper oval stones and it fastens with a sterling silver toggle clasp, which allows it to be worn as a double stranded necklace. Why fiery? My town of Bungay in Suffolk commemorates its 330th anniversary of the Great Fire of Bungay this year and I wanted to make some fire inspired jewellery! 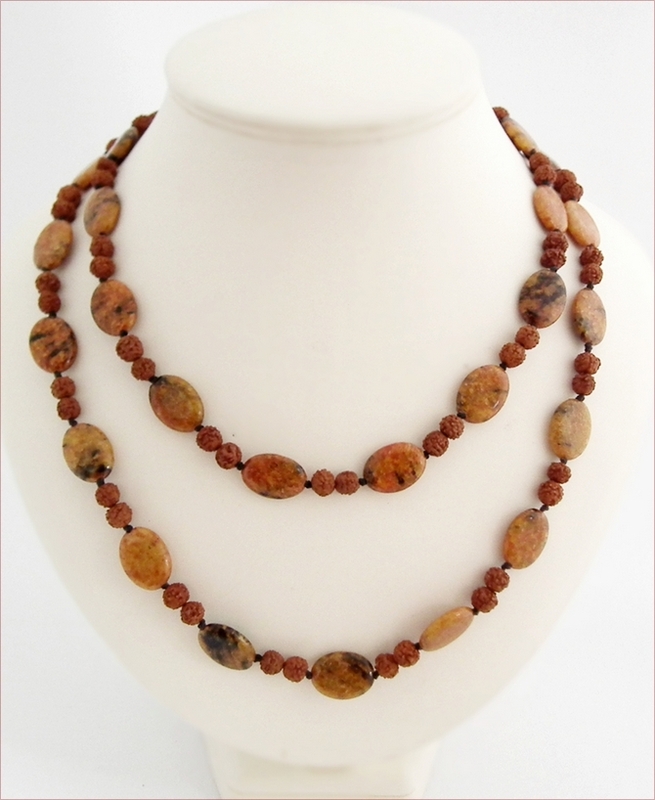 So - you could wear this to a barbeque!